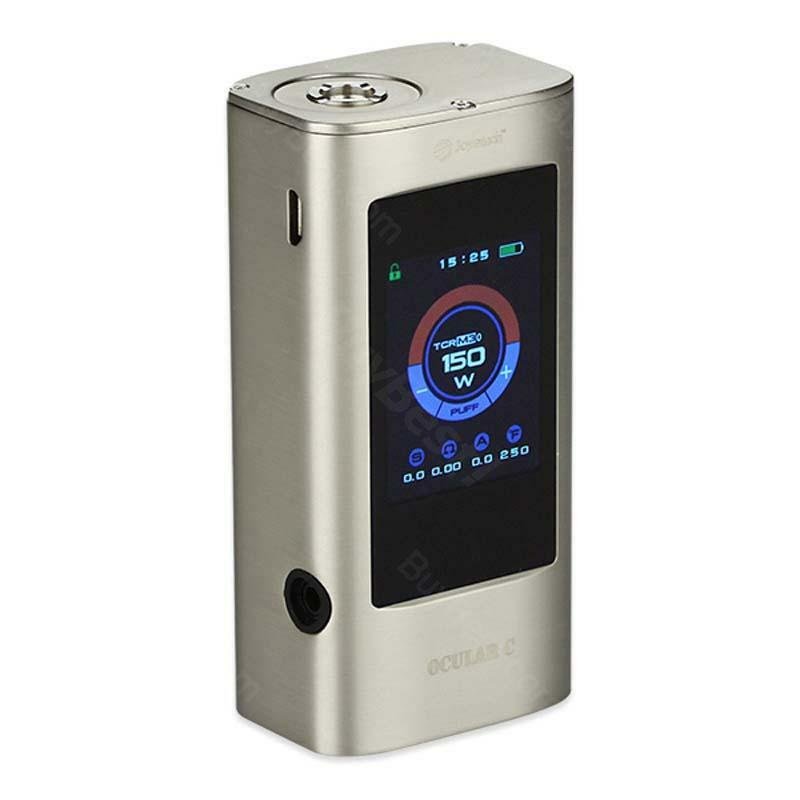 Joyetech OCULAR TC mod, powered by two standard 18650 battery, the maximum power up to 150W, (can be upgraded up to 200W), this mod supports a variety of modes, the 1.68 inch TFT / CTP (touchable) Screen makes the mode switching easily. OCULAR C TC mod comes from Joyetech, generous appearance with strong sense of metal, it can be powered by two standard 18650 battery, the maximum power up to 150W, (can be upgraded up to 200W), Joyetech OCULAR C mod supports a variety of modes, like VW/VT (Ni, Ti, SS316)/TCR, it has a 1.68 inch TFT/CTP (touchable) Screen on the front for mode switching easily. Screen-saver offers a variety of styles such as digit clock, analog clock, photo. With a large capacity of 2G, it can support to save more songs, the temperature range is 100℃-315 ℃/200℉-600, supports overheating, short circuit, high and low Voltage, and reverse battery protection. The color screen, replaceable wallpaper and dual interface can meet the preferences of various players. the tech is cool mp3 is good phone app is amazing but a bit flimsy on both the software and fire button! also this item needs a case and after about 4 months on the market no case is available! Ocular c Looks shiny and classic. Very well built device. Both power mode and temp mode works well. The square shape of Joyetech ocular looks cool, i really like it. Love the big touchscreen so much.